Chesterfield Primary School is part of the Enfield Learning Trust. The motto of our Trust is ‘be included’ which describes our ethos and vision. We believe that we must strive to remove any barriers to learning so that every young person regardless of their start in life can be successful, happy and leave us equipped for the next stage in their life. 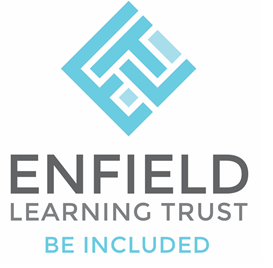 The Enfield Learning Trust is a charitable company limited by guarantee and registered in England and Wales. Registered Office: Hazelbury Primary School, Haselbury Road, Edmonton, London, N9 9TT.